A new discovery regarding chickenpox is a lot bigger deal than most people think. As we recently reported, a new study by the Centers for Disease Control and Prevention has found that there has been a huge 85 percent drop in chickenpox over the last decade, and scientists think it’s because of a second dose of a vaccine against the varicella-zoster virus that causes it. But chickenpox remains a much bigger problem than you realize, and can be a lot more dangerous than people expect, even in 2016. 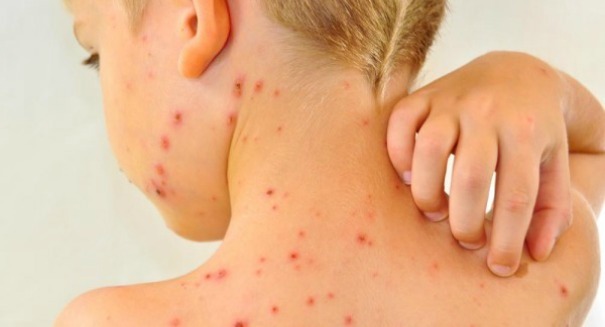 As we all know from our childhoods, chickenpox is an unpleasant disease that results in itchy rashes covering a large portion of the body, and it also brings fever and fatigue for a week or so. The new CDC report found that the frequency of chickenpox as declined from 4 million hospitalizations annually in the 1990s to about 3.5 million today, and a second dose of the vaccine should get the credit for that, experts say. But most people don’t realize just how dangerous it can be, and it’s not just a childhood illness for many people around the world. The fact is, even today chickenpox kills 100 people in the United States every year, and results in another 9,000 hospitalizations. Chickenpox is most dangerous for very young children, the elderly, and those with compromised immune systems. But even if you’re a relatively healthy young to middle-aged adult, chickenpox can be a big problem. Chickenpox has been known to result in complications including bacterial infections, pneumonia and even inflammation of the brain. Also, the varicella zoster virus can result in shingles down the road, a nasty disease that includes painful skin rashes with blisters. All of this illustrates why developing an effective vaccine for chickenpox is a much bigger deal than people realize.